Who remembers our cartoons in the 80’s? Till this day I still think they are the best. Any chance I get to re-watch them I do. 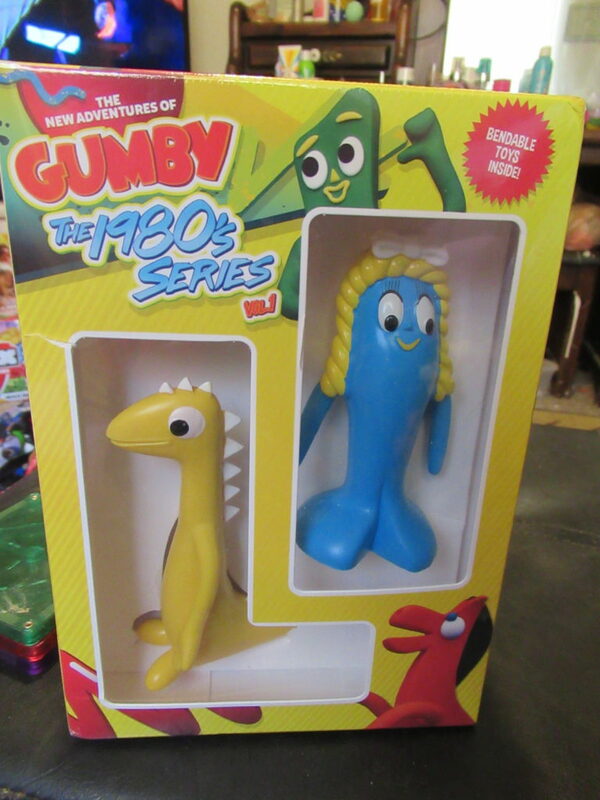 Now I can re watch the 1980’s Gumby any time I want. They came out with the whole series on DVD. 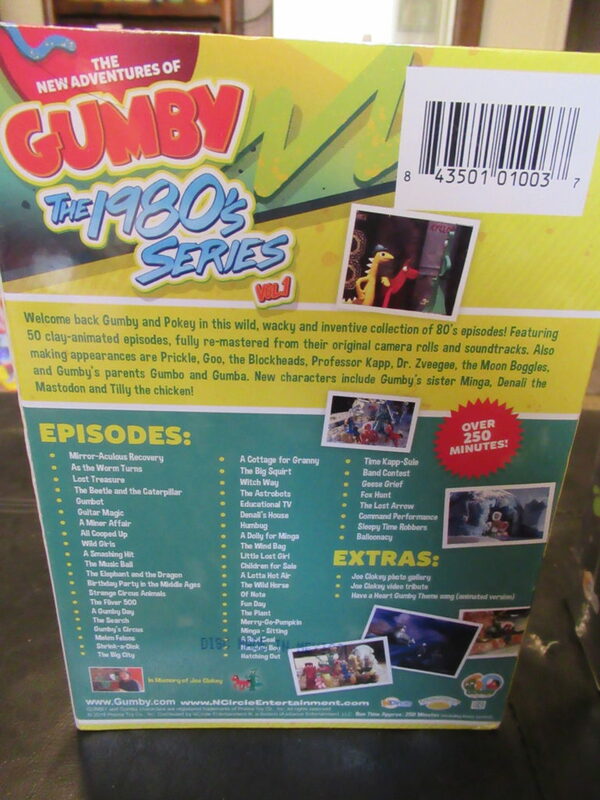 Gumby The 1980’s series is volume 1. You will not only get 250 minutes of our great show we all grew up on, you will also get 2 bendable toys inside. I am so excited that I get to bring my love for Gumby to my son. He love’s that he also gets the toys to play with while watching. from their original camera rolls and soundtracks. Also making appearances are Prickle, Goo, the Blockheads, Professor Kapp, Dr. Zveegee, the Moon Boggles, and Gumby‘s parents Gumbo and Gumba. New characters include Gumby‘s sister Minga, Denali the Mastodon and Tilly the chicken! The gift set includes 2 exclusive bendable toys! I grew up watching Gumby all of the time! I love this!